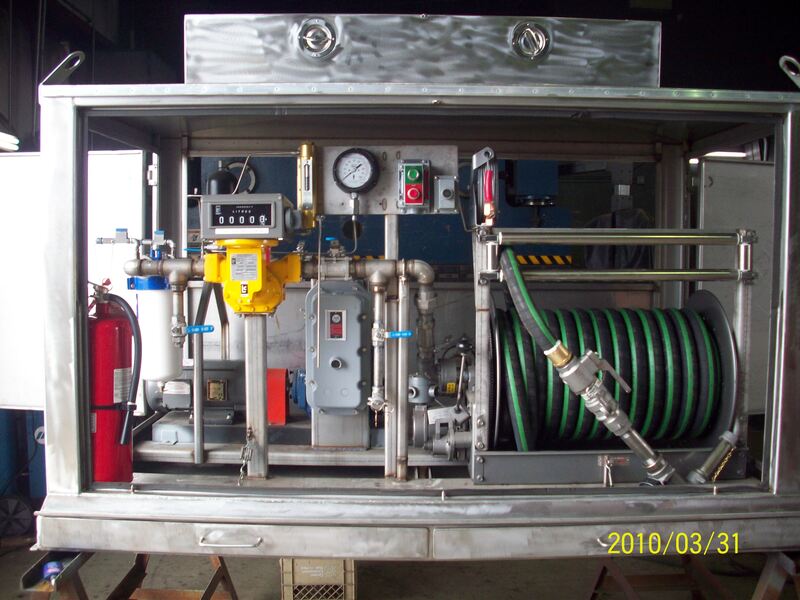 “We manufacture custom pump cabinet’s specific to our customer’s specifications and fueling requirements. Pump cabinets can be developed to include everything from pump, meter, hose & hose reel, electrical, filters, flex hoses, piping, stop/start switches, emergency shut-off, nozzle, etc. The cabinets can be made of steel, stainless steel or aluminum, and can have one front access door or an access door on all sides."